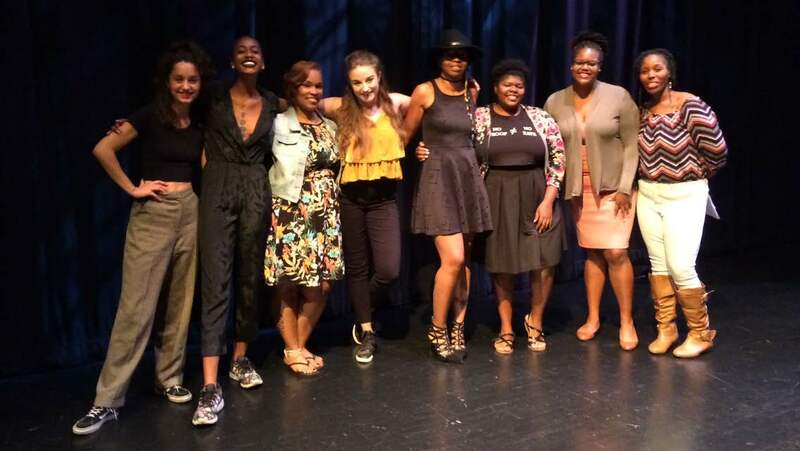 The Wild Women of Poetry Slam has thrived since 2006 as an opportunity for nationally renowned spoken word artists to perform in a women-only slam. Formerly known as the Gypsy Poetry Slam, it has taken place in various venues and featured a stellar cast of headliners and winners from throughout the United States. Curtain call for the 2017 slam: (left to right) Olivia Gatwood, Raych Jackson, Native Child Brown, Shay Alexi, Christina Boyd-Clark, Talicha J., Lyric Leslie, and Tyneka “TSmilez” McDaniel. Congrats to Talicha J. for winning the 2017 Faith A. Smith Poetry Prize! Read more about the prize. The Kentucky Women Writers Conference awards a national playwriting prize to bring more scripts by women to the stage, especially those featuring majority-female casts. The winner will receive a full production in Lexington or Louisville, plus a cash prize of $500. The winning play will be workshopped prior to its world premier for a paying audience. If you would like to receive our bi-monthly listserv with updates about this contest and our other programming, please send your request to kentuckywomenwriters@gmail.com.